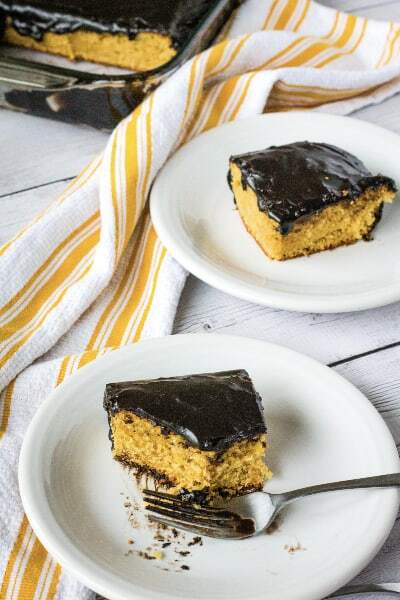 This old fashioned peanut butter cake recipe is made with a doctored up cake mix and topped with a stove top dark chocolate frosting, making it a super easy yet delicious dessert! 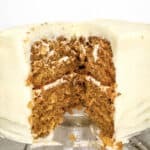 Nobody will know you used a cake mix to make this easy old fashioned peanut butter cake–it’s moist and decadent and perfectly tasty! 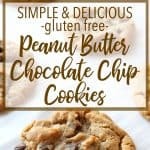 I’m a sucker for just about anything in the peanut butter and chocolate combo realm. How could you not be? It’s like the two flavors were meant to be together. Peanut butter cake is one of those things that can sometimes be a little underwhelming. Oftentimes, I find that they are too dry or too dense, and just not quite right. 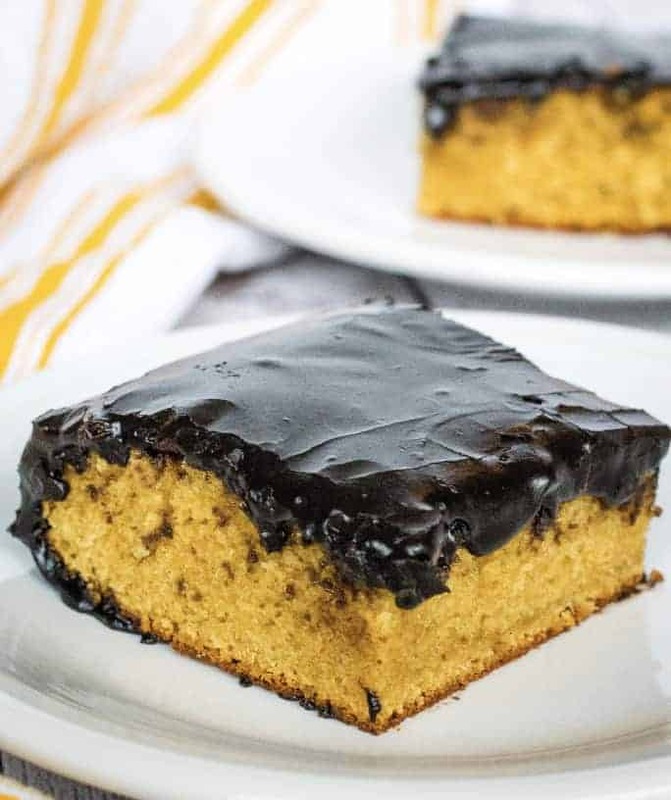 This peanut butter cake is definitely not one of those disappointments–it’s a simply delicious, moist and soft cake that pairs beautifully with an easy stove top dark chocolate frosting! Years ago, after my husband’s grandmother passed away, my mother-in-law was gracious enough to gift me with some of Grandma Wilhelm’s cookbooks from her church, as well as a box of handwritten recipe cards. It’s a treasure trove of goodies, reminiscent of a bygone era, and I love thumbing through the recipes for inspiration. 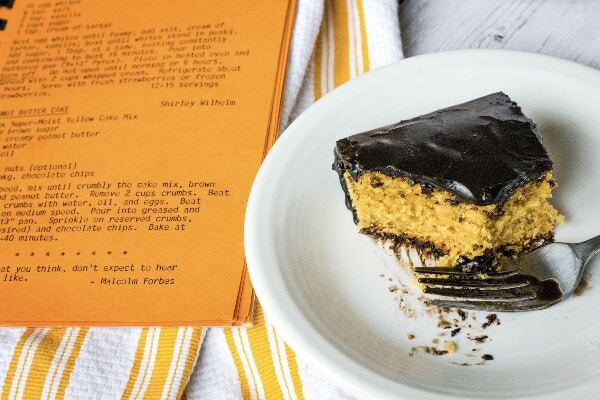 Recently, I was looking through one of the church cookbooks and found a recipe for Grandma Wilhelm’s peanut butter cake. 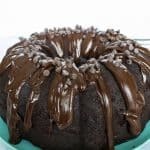 It was simple and involved a doctored up cake mix, which is one of my favorite ways to make a delicious cake without a lot of effort. I knew it would be worth making, because let’s be honest–if someone puts it in the church cookbook, you know it has to be good. Grandma Wilhelm’s version involved a crumb topping and a sprinkling of chocolate chips on top. I decided to use her base recipe, but instead of the crumbs and chocolate chips, I opted for a stovetop dark chocolate frosting on top. 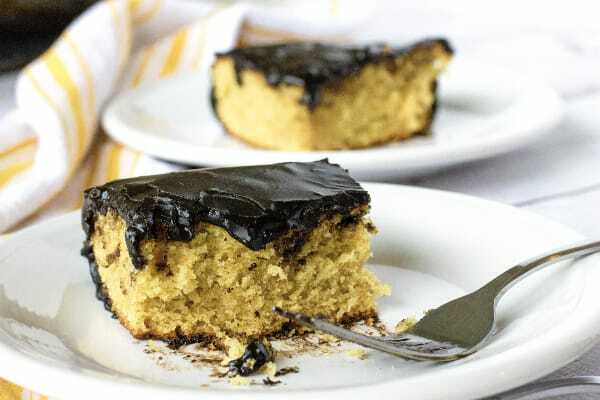 If you’re familiar with Texas sheet cake, the frosting is very similar to what you would use for that, except it’s a dark chocolate variety. It’s surprisingly simple to create this delicious cake! 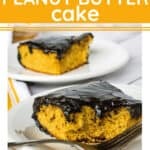 This peanut butter cake is so easy to make, because it all starts with a cake mix and is finished with a simple stove top frosting! Mix peanut butter, brown sugar, and oil. Add in eggs. Use a mixer to combine the butter, brown sugar, and oil until smooth. Add in the eggs, one at a time, until everything is combined well. Alternate adding cake mix and water. Alternate adding the dry cake mix and water, starting and finishing with the dry cake mix. Pour batter into prepared pan and bake. 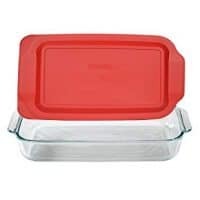 Pour the batter into a greased 9×13″ baking dish, then bake at 350F for about 35-40 minutes, or until a cake tester inserted in the middle comes out clean. Pour frosting over warm cake. Prepare stovetop frosting and pour over the cake while it’s still warm. Enjoy the cake warm or allow it to cool before serving. I tend to call this a sheet cake, even though it’s baked in a 9×13″ pan (so it’s not truly a sheet cake). 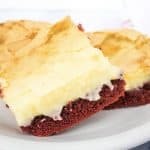 However, you can absolutely make it as a sheet cake if you prefer–simply grease a jelly roll pan well and bake it for about 22-26 minutes. Then, top it with the dark chocolate frosting while it’s still warm! 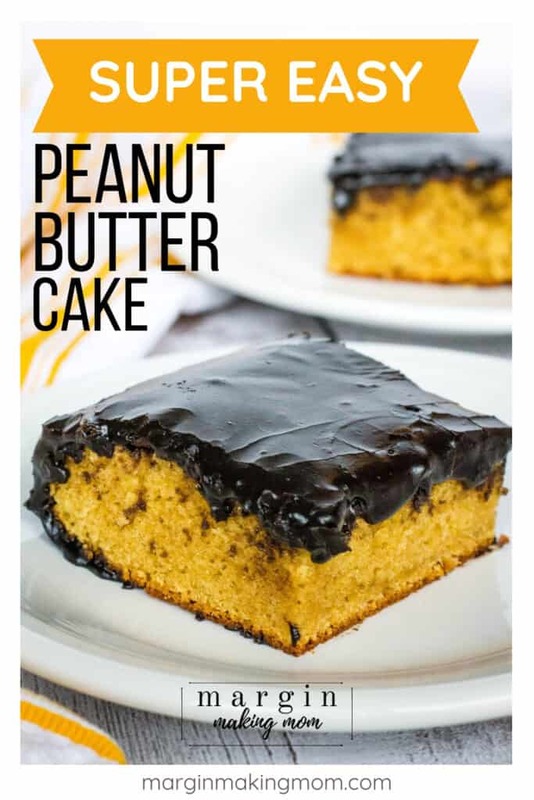 I have not tried making this cake with natural peanut butter, but I anticipate that it might not turn out as well. If you do try it, be sure to stir the peanut butter really well first to ensure the oil is fully incorporated as much as possible. If you prefer, regular chunky peanut butter will work fine. 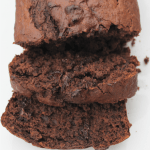 I used dark cocoa powder in the frosting, but you can certainly use regular cocoa powder instead. If you don’t have any sour cream on hand for the frosting, just replace it with milk for a total of 6 Tbsp of milk. Feel free to use a sheet pan instead of a 9×13″ pan. Simply grease a jelly roll pan and bake for 22-26 minutes. If you prefer, you can top with a peanut butter frosting instead of the dark chocolate frosting. 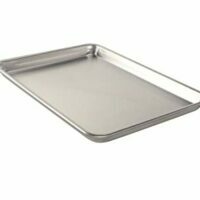 Preheat oven to 350F and grease a 13x9" baking dish. 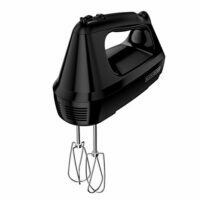 In the bowl of a stand mixer (or in a large mixing bowl with an electric mixer), beat together brown sugar, peanut butter, and vegetable oil until smooth. Mix in eggs, one at a time, until well-combined. 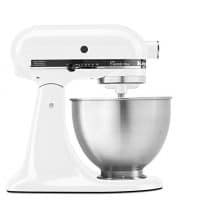 With the mixer on low speed, alternate adding the cake mix and water (begin by adding 1/3 of the cake mix. Once it is incorporated, add half of the water. After that is mixed in, add another 1/3 of the cake mix, followed by the remaining water, then the remaining 1/3 of the cake mix, mixing well after each addition). 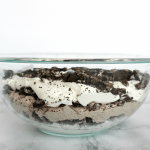 Pour batter into prepared baking dish. Bake for 35-40 minutes, or until a toothpick inserted in the center comes out clean. in a medium-large saucepan, melt butter, cocoa powder, and peanut butter together over medium heat, whisking to combine as the butter melts. Remove from heat and stir in milk, sour cream, and vanilla. Gradually add in powdered sugar, stirring well with a spatula until frosting is smooth. 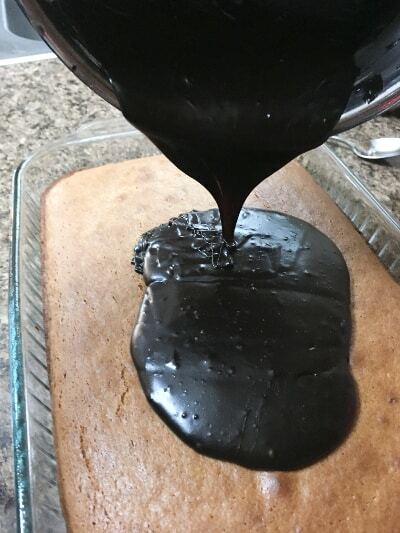 Pour over warm cake, spreading evenly with spatula. 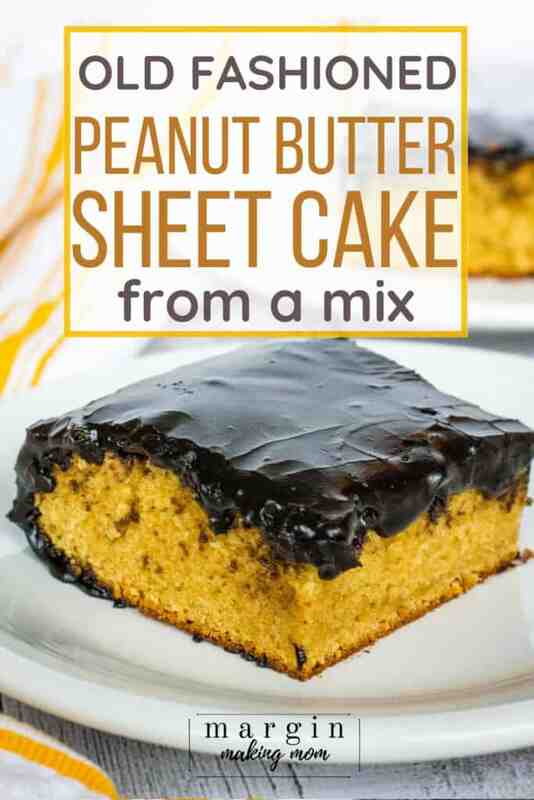 I have not tried making this cake with natural peanut butter, but I anticipate that it might not turn out as well. If you do try it, be sure to stir the peanut butter really well first to ensure the oil is mixed well. Regular chunky peanut butter will work fine. If you don't have any sour cream on hand, just replace it with milk for a total of 6 Tbsp of milk.